Under the Freedom of Information Act (“FOIA”), 5 U.S.C. § 552, and Consumer Financial Protection Bureau (“CFPB”) regulations, CREW requests copies of all communications between Acting Director Mick Mulvaney and anyone acting on behalf of World Acceptance Corporation from November 27, 2017, to the present. CREW also requests copies of all communications between then-Rep. Mulvaney and the CFPB that concern or mention in any way World Acceptance Corporation from January 1, 2011, through February 16, 2017. It was recently reported that the CFPB had closed a four-year investigation into payday lender World Acceptance Corporation, declining to take any enforcement action. 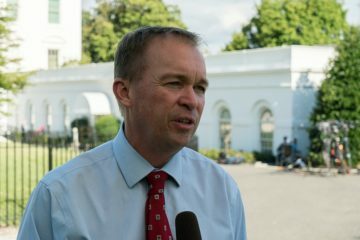 Not only is the Acting CFPB Director a longstanding ally of the payday lending industry, but between 2011 and 2017, Mr. Mulvaney received campaign donations totaling nearly $60,000 from payday lenders. Those contributions included at least $4,500 from World Acceptance Corporation’s PAC between 2013 and 2016. The requested records are likely to contribute to greater public understanding of the outside influences on the CFPB’s investigations and Acting Director Mulvaney’s possible role in securing the end of an investigation into one of his campaign contributors. 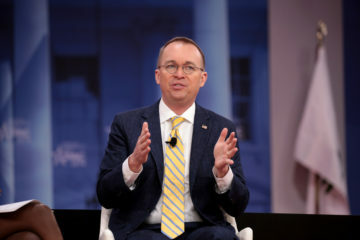 A formerly avowed opponent of the CFPB, going so far as to call for the agency to be abolished, Mr. Mulvaney recently put on hold a rule that would have restricted the interest rates payday lenders can charge. The public interest is at an apex when questions are raised about the motivations of and outside influences on an agency head who so radically changes the agency’s direction. Update: On April 6th, 2018, The CFPB responded via letter stating that they were unable to identify any record responsive to CREW’s request. At a private event in New York City, Mulvaney reportedly spoke of Republican party strengths and weaknesses, and the odds of a “blue wave” in the midterm elections.